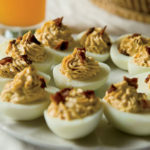 This spring side dish is delicious and easy to prepare. 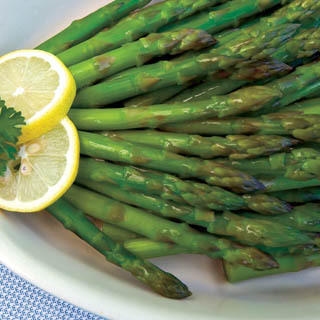 Nutrition Highlights: High-fiber asparagus contains bone-building vitamin K along with many antioxidants. Wash asparagus and trim off tough ends. Place asparagus on baking sheet and drizzle with olive oil, rolling spears to coat evenly. Salt lightly. Roast until just barely tender, usually between 8 and 15 minutes, depending on the thickness of the spears. Nutrition Facts (per serving): Calories – 27, Fat – 1.9g, Dietary Fiber – 1.2g, Protein – 1.3g. Choose bright green asparagus stalks with purple-tinged tips. Avoid wilted or limp stalks. Linked up at Whole Food Wednesday.